Women's Center of Health in Naperville and Plainfield, IL offer DYSIS Smart Colonoscopy to their patients. We want to make it as convenient as possible for you to obtain the care you need. Schedule an appointment online or give us a call at (630) 416-3300. A colposcopy is performed after an abnormal Pap smear or HPV test to look for abnormal cells on your cervix. These cells may indicate inflammation or pre-cancerous changes that could develop into cervical cancer if left untreated. We use DYSIS colposcopy, which is clinically proven to improve detection when added to our visual exam. 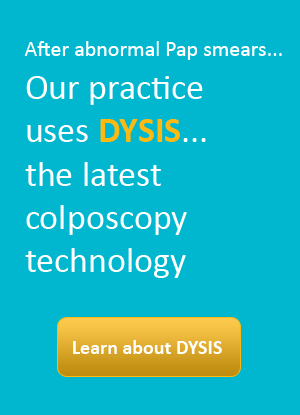 What is a DYSIS colposcopy exam? The DYSIS Advanced Cervical Imaging System measures the acetowhitening effect, which is an indication of abnormal cells. This helps our providers select biopsies to catch abnormal areas early while they are small and easily treatable. It allows you to watch the exam if you choose, and your doctor can store images and video to compare to future exams if needed. 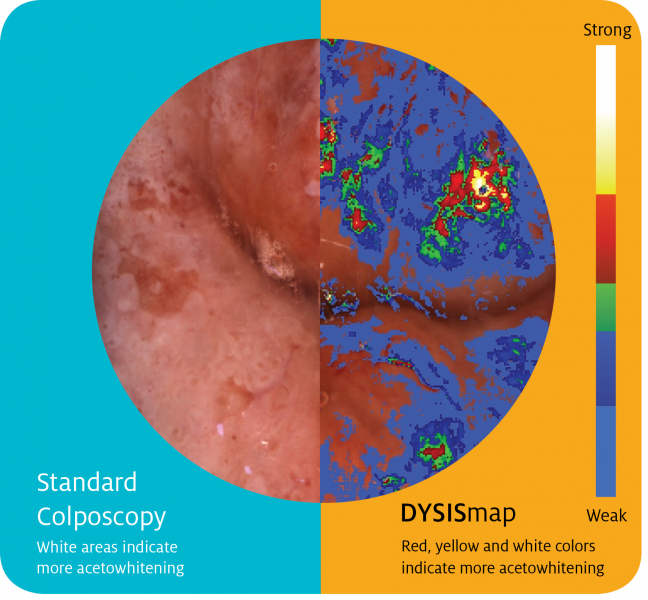 The DYSISmap is a unique color-coded digital scan of the acetowhitening process. Using a color scale, the map indicates any area of the cervix that may have extreme acetowhitening. These are the areas that your physician may want to examine further. How has DYSIS helped women?